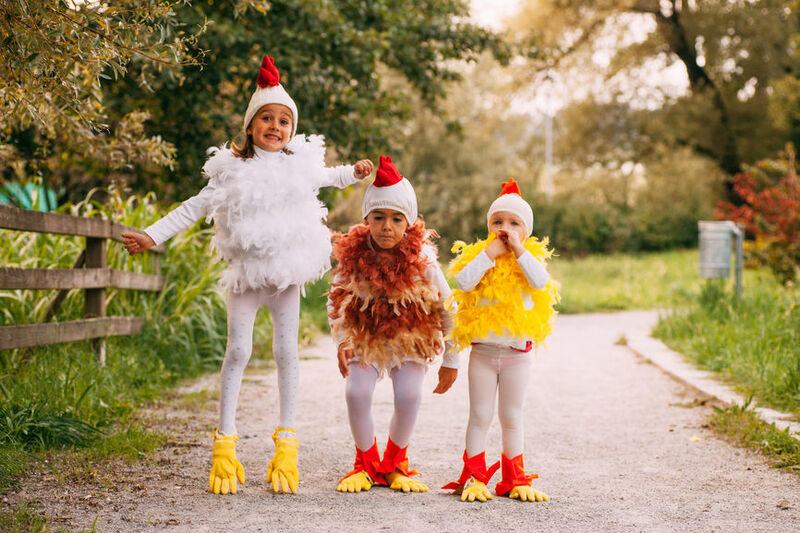 We know that while the excitement may be high, the hunt for costumes can be overwhelming for any parent and can get trickier when you've got more than one child to dress. 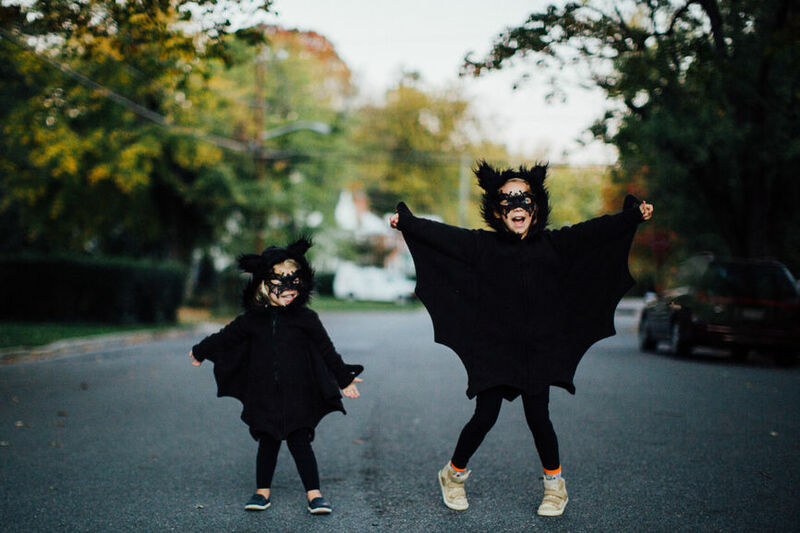 So, with that in mind, we've checked in with Amy Wetton, founder of Wild Canary Studios (www.etsy.com/ca/shop/WildCanaryStudio), twin mama, and costume and Halloween enthusiast, to curate 5 top Halloween costume tips, plus a list of costume ideas. These tips can help make the search for, or the creation of ,costumes more easeful, which will hopefully add more fun to the occasion – which is what Halloween should be about (candy, shmandy!). 1. Scope it out. Look around at the scene in shops and online. Pinterest is great for this! 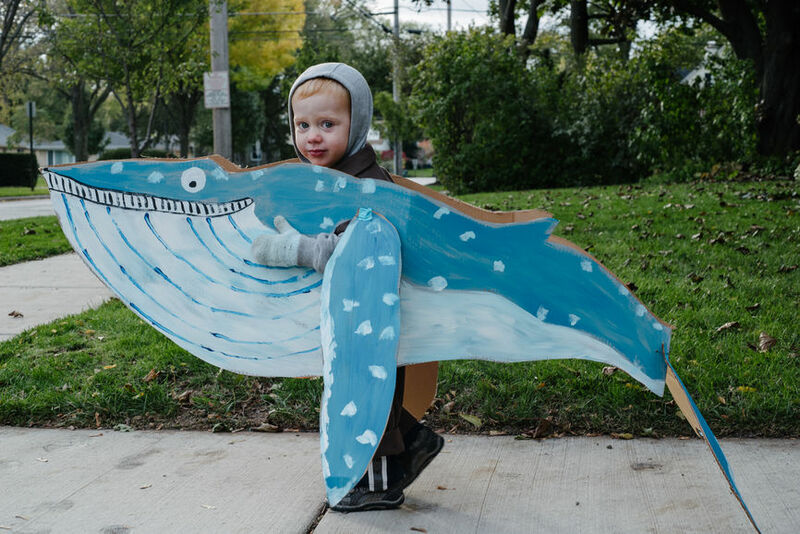 If you're venturing into the world of making your own costumes, you'll want to explore a variety of costume ideas and map out how feasible it is to make them within your time frame. It’s amazing what you can do with a sweat suit, some felt and a glue gun! If you're on a budget, buy and sell sites or consignment stores are going to be your friend. Even ask around in your circle of friends or neighbourhood. People are sometimes willing to lend out a costume! Also be sure to think about the weather, maybe they need something cozy and warm? Or something you can throw a jacket over? Also, make sure they can walk in it! Whether you're making your own costumes or sourcing them from a shop, the Halloween scene moves fast - it's not uncommon for stores to start stocking them at the end of August. The super heroes and Disney princesses tend to sell out fast. You can always grab them and if your kids don’t want to wear them, they are always hot sellers on the buy and sell sites, or donate them to a school for their dress up centre! And as we all know, time is of the essence in a life with children - so give yourself ample time to pull it all together. The older your children are, the more input they'll want to have in the process. And the more they enjoy it, the more likely they are going to want to continue the cute pairings for years to come. But be warned, as Amy Wetton wisely advises, "once you have an answer of what they want to be, get on with it and drop the conversation! My boys changed their minds a million times the first year they had a say." We're all busy and adding on another item on to our to do list can feel stressful and overwhelming. By getting ourselves involved in the process (look at this awesome family photo), we can channel our inner child and ease some of that stress. Enjoy the attention that your hard work deserves on Halloween night. And be sure to share it with your community! They’ll love seeing your dressed up children, to get the Halloween spirit going. And it can also help inspire others’ next year's costumes. Of course, if all else fails, throw some ears on them, paint on a nose with eyeliner and call it a day! They will enjoy the evening running around gathering treats no matter what they are wearing!